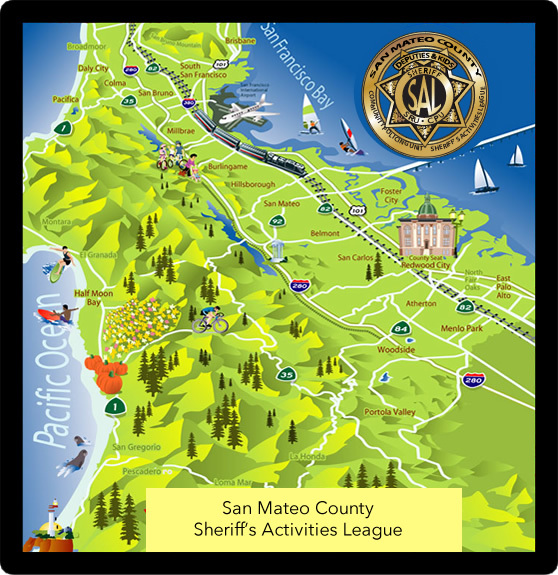 Thank you for your interest in spreading the word about Programs on San Mateo County Sheriff's Activities League. The Sheriff's Activities League utilizes results from annual community health needs assessments to shape the SAL target focus areas. 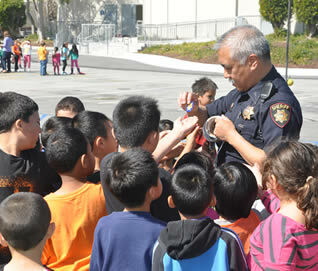 Building the Bond between deputies, youth, and communities. 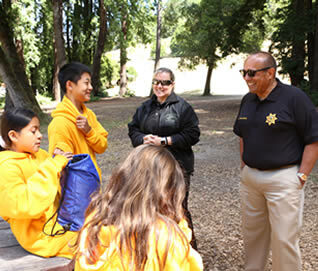 All of the SAL programs have the overarching goal to build the bond between deputies, youth and their communities to foster positive interactions between law enforcement officers, youth and communities to build mutual trust, respect and relationships. 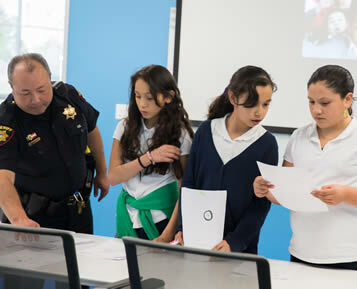 93% of SAL youth improved attitudes towards law enforcement. 80% of SAL youth feel that the deputy involved in SAL programs care about them and their community. 75% of SAL youth stated they trust law enforcement and would call them in an emergency. 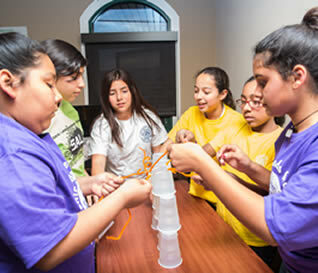 Our academic achievement programs include tutoring, literacy, STEM and academic mentoring. These programs provide resources specific to the individual student’s needs in an effort to facilitate learning, and to develop critical thinking skills. 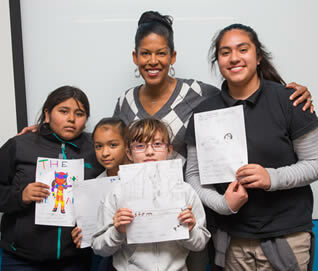 98% of SAL youth improved their reading skills and comprehension. 85% of students overall grades improved as well as their speaking abilities, conduct, and attitudes. Our health and wellness programs, which include our sports and recreation programs as well as SAL Healthy Kids, combine education and hands-on activities to provide participants with opportunities to gain practical knowledge, skills and experiences that encourage healthy lifestyle habits with the goal of reducing juvenile diabetes and other related diseases. 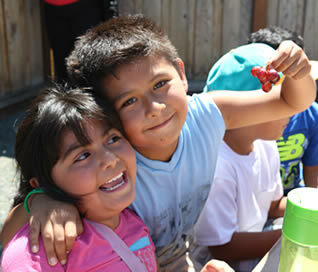 88% of SAL youth have knowledge of eating healthy and making healthy choices. 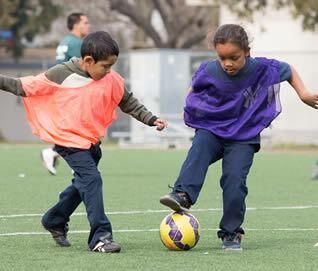 79% of youth increased their physical fitness and were more physically active. Our leadership and character development programs include our Teen Leadership Council, Empowering Young Women, Mentoring, and Early Stage Intervention and Diversion programs. 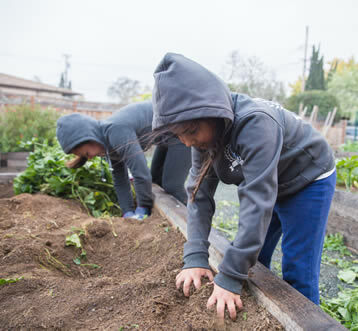 These programs are aimed at building fundamental life skills, increasing self-confidence, teaching teens leadership skills, and empowering youth to make a positive impact in their community and school. 95% of leadership program participants feel a sense of belonging. Mentored children are 55% more likely to enroll in college. SAL served over 3,500 youth each year through various programs and an additional 8,000 through events, school presentations and activities. 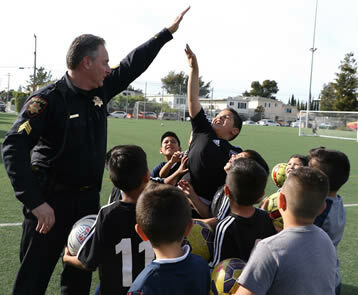 The Sheriff’s Activities League uses programs and events as a vehicle for positive change and to build relationships between law enforcement, youth and communities while providing underserved youth with the tools that they will need to be successful in all aspects of their lives. "SAL holds a special place in my heart because it’s a program that kept me on the right path throughout my childhood, through my teen years into adulthood. SAL taught me to be responsible and dependent on myself. It gave me a safe place to be afterschool. It gave me life values and kept my head on straight. SAL gave me so many opportunities and now I’m working for SAL as a Program Coordinator, working with kids just like me when I was a kid." 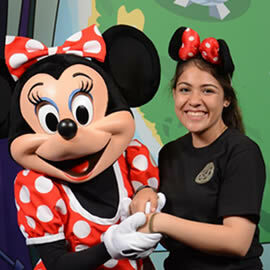 "Odalys faced much adversity and was left feeling alone and unwanted. 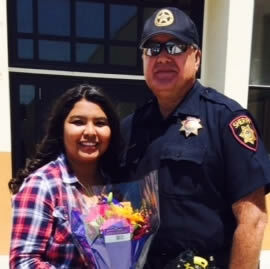 That all started to change 3 years ago when Odalys met Deputy Shawn Chase who encouraged her to do better. She did not trust him at first. Shawn continued to encourage her and talked her into joining the Sheriff’s Activities League Empowering Young Women’s Program." 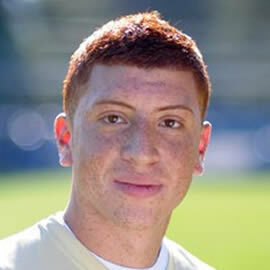 "I’ve been involved in the SAL programs since I was 6 years old. When I was in middle school, one of my school friends told me that I lived in a really “bad” neighborhood where there were dangerous gangsters. One of my goals was to change that view of the community where I lived and grew up in. I was given that opportunity when I joined the SAL TLC program, where I was able to give back to the community by doing community service projects, events and be involved with the relationship building between law enforcement and the families where I lived." The Sheriff’s Activities League uses the results of community needs assessments to shape the SAL focus areas. 90% of youth participating were physically active for 2 or more hours per week during SAL programs. 71% of SAL youth have changed negative perception towards law enforcement. 85% of youth enrolled in SAL tutoring improved grades. 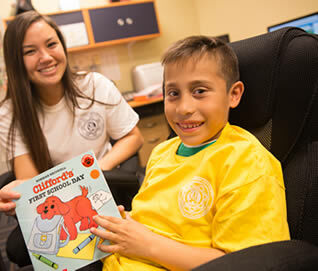 78% of mentored children are more likely to volunteer regularly. 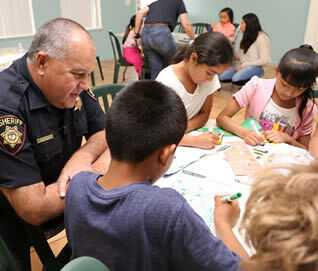 Building the bond between deputies, youth and communities. 96% of leadership program participants felt accepted and supported. 79% of high school students referred into SAL tutoring increased D’s and F’s. 83% of SAL programs take place during the after school hours of 3pm-6pm, when youth are most likely to commit or be the victim of a crime. 88% of youth have increased their knowledge of nutrition.